Many parents of “gifted” students opt to homeschool because it allows children to learn at what are, more often than not, asynchronous levels. It’s rare to find a child who is “gifted” in all areas at the same rate. Far more common is the 8 year old doing high school math, but 3rd grade writing or the 10 year old reading Dickens with ease, but struggling with science. These are not students who will benefit from “skipping” a grade or two. However, traditional schools will inevitably be tedious for a child who finds 3rd grade level “reading comprehension” questions difficult, but loves algebra. Homeschooling makes it possible for parents to tailor curriculum to meet the specific needs of gifted children. This though is not the only benefit of homeschooling the gifted child. Most people don’t realize that gifted children are often also dealing with a number of issues that make traditional schooling difficult. Too often people think of giftedness in its simplest form. We all remember the over-achieving kid in school who became valedictorian and who seemingly glided through every difficult course with ease. The stereotype of gifted kids is that they’re exceptionally smart and have an easy time with all things academic. The reality though is that giftedness is often associated with sensitivities and explosive personalities. These kids struggle in areas where others never have difficulties. The intensities of gifted kids can create emotional and social issues that many parents find easier to address if they are homeschooling. This is why I so appreciate the work of Christine Fonseca in her new book Emotional Intensity in Gifted Students: Helping Kids Cope with Explosive Feelings. 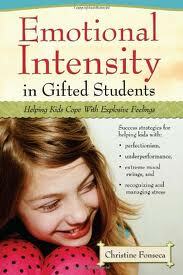 She addresses not just the cognitive abilities of gifted students, but also the problems created by their emotional intensity and asynchronicity. Her book provides a detailed description of what she calls the “talents” and “troubles” of gifted kids and lays out the approaches that research has found to be most successful in helping kids and parents cope with both sides of the “gifted” coin. No two kids experience exactly the same problems, but Fonseca creates a number of “example” kids she uses throughout the book to demonstrate how different approaches will elicit a variety of reactions. 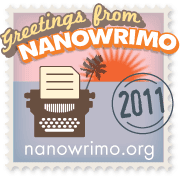 She details real world situations any parent or teacher of a gifted child will recognize. For example, many gifted students experience an unusually high level of perfectionism that will often make them “shut down” and stop trying when things don’t come easily the first time. As a result, you get the frustrating problem of the extremely bright student failing classes. This can happen because of perfectionism or boredom. We’ve all heard the stories of Einstein’s abysmal school grades. Fonseca provides clear guidelines for determining what may be at the root of the problem and effective strategies for helping that child. Gifted children are also more likely to cope with a paralyzing existential angst that leaves them feeling hopeless and sometimes cripplingly anxious or depressed. Too often this kind of “gifted” child turns to drugs or opts out in different ways. Fonseca helps parents understand what’s going on with their child and explains different “coaching” techniques parents can use to help their child understand and effectively deal with this kind of anxiety. She provides several “parent-child dialogue” samples and gives step by step advice for helping a child learn relaxation techniques that can really make a difference. Fonseca explains that gifted kids are sometimes misdiagnosed with psychological illnesses (anxiety/panic disorder, OCD, manic depression, etc.) that in reality are better understood as part and parcel of being gifted. Her practical approaches to helping these kids understand themselves and learn to cope with their environment are often far more effective in the long run than medications. If you have a gifted child, this is definitely a book you’ll want to read. Fonseca provides useful strategies to help both parents and teachers recognize issues related to giftedness and better guide these kids as they learn about themselves and their world. I am particularly grateful for the practical advice she provides for helping kids deal with the internal and external stress that leads to extreme emotional intensity. She reminds us that teaching should not and cannot be confined to academics. Our job as parents, teachers and mentors is to help kids learn about all aspects of life. The problems gifted students often experience can be bewildering, frustrating and heart-breaking. 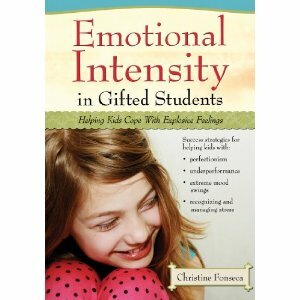 Fonseca has made a great contribution to helping people understand the unique and too often unmet needs of gifted students.